Kitchen fashion is always changing. CabinetDIY, a leading supplier of RTA Cabinets, looks at the new kitchen fashion of 2016. CabinetDIY, a leading supplier of RTA Cabinets, has looked at all the kitchen trends of 2016 and put together the three trends that they feel are the most exciting. 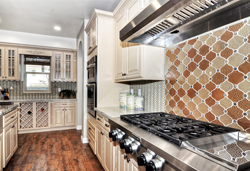 The kitchen experts have put together the trends to help people looking to remodel their kitchen gain the inspiration they need. Kitchens were once just a place for cooking, but now they have become an important part of the house. Lifestyle experts have said the kitchen has become one of the most-used rooms in a home while real estate experts have said kitchen’s sell houses. That is why according to CabinetDIY homeowners spend so much time deciding the best options for their kitchens when they are remodeling the home. 1. Soft, muted color palettes. For many years kitchen colors were standard. Those colors include one shade of white, but now times are changing, and designers are becoming more creative. White is still a dominate color, but no longer is one shade of white used in new kitchens. Different shades of white are now used and to make kitchens more exciting, tinted white is now available. Other colors that have become a big hit when it comes to remodeling a kitchen is pale blue, pale green gray and charcoal. 2. Smart spaces. Kitchens have always been a place to find gadgets, but now that has been taken a step further. With more people relying on laptops, mobile devices, and other gadgets, all these electronic devices need charging. With the kitchen being one of the most-used rooms in a home, it makes sense to generate smart spaces where hidden charging stations can be installed. Kitchens will also start to have state of the art appliances and gadgets. They include the latest coffee machines, wine coolers, steam ovens and even the latest hi-tech televisions. 3. Integrated kitchen-living spaces. Around the world, a kitchen combined with a living space has become more popular. In 2016, this type of design is going to bring a new lease of life to tired old kitchens. By knocking down a couple of walls, a kitchen can be built in within a living space, allowing the kitchen and the family room to be in one. That can make the home more homely and allow the kitchen to seem much bigger than it really is. CabinetDIY was established in 2004 to provide professional interior design services and products throughout North America and beyond. The company's team takes each customer's need, complaint or suggestion seriously, constantly improving their services and products to meet the demands for quality, uniqueness, and diversity of the today's generation.